When I get a new bike, I always have the urge to add some decorations to the bike. 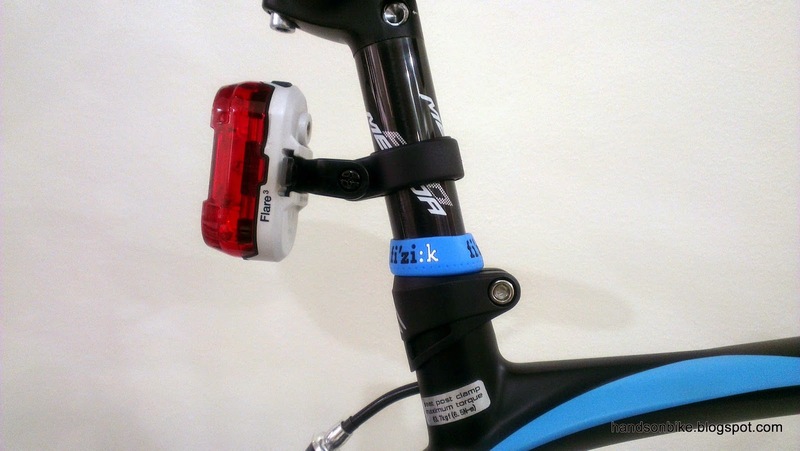 Usually this is in the form of some coloured accessories or add-ons to give the bike some extra dash of colour. 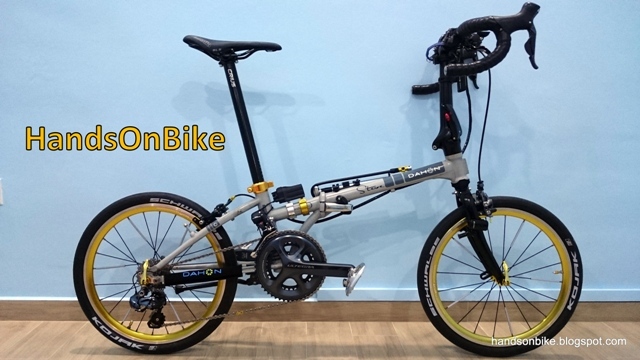 The Dahon Boardwalk is dressed in black and gold, while the Dahon MuEX is decorated with red accents on the nice black frame. 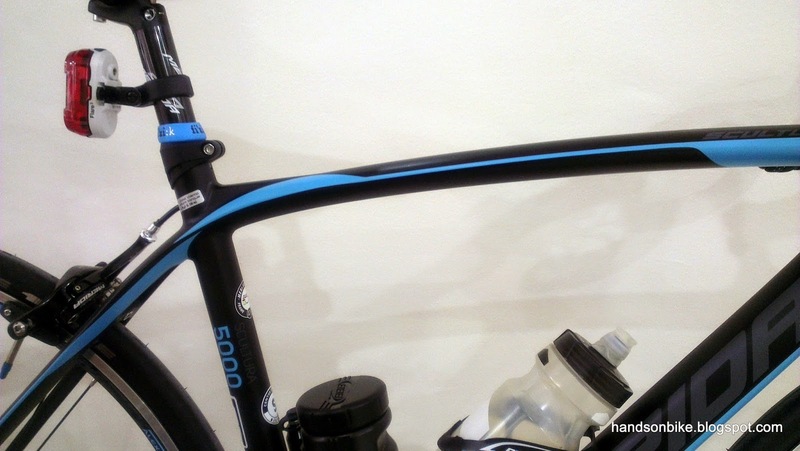 For this new Merida Scultura 5000, the frame colour is mainly black with some stripes of sky blue across the frame. 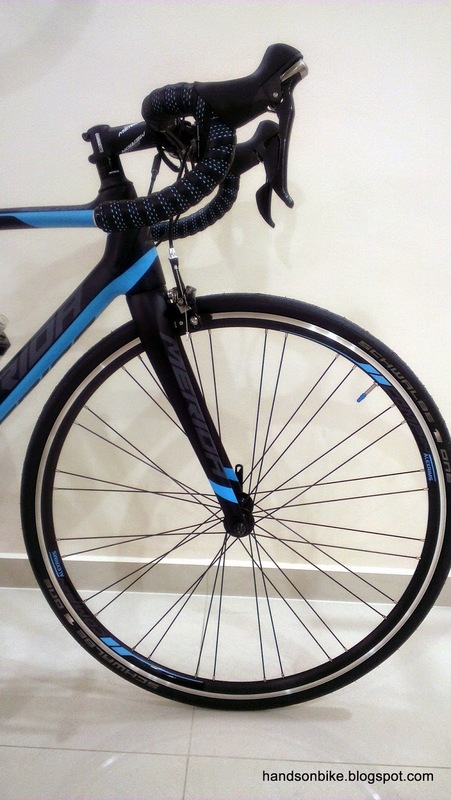 I decided to add a bit of blue accents to the bike to personalise it a bit more. 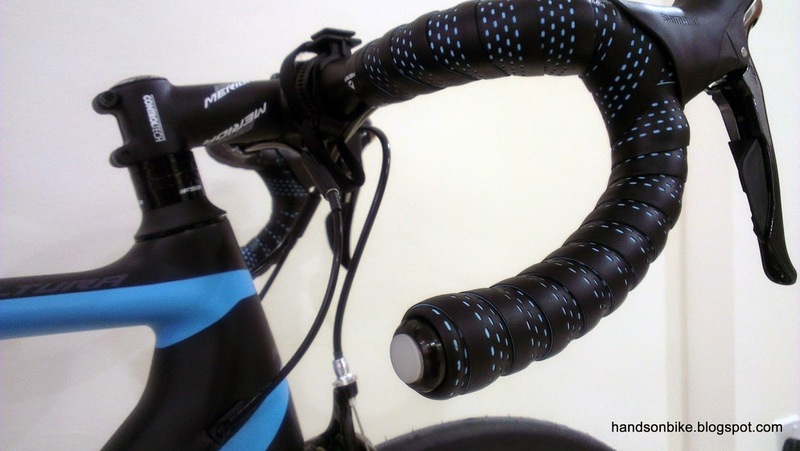 However, the important part is to add just blue accents to the bike, and not overwhelm the bike with large areas of blue. First, I decided to add a couple of bar end lights to try out. 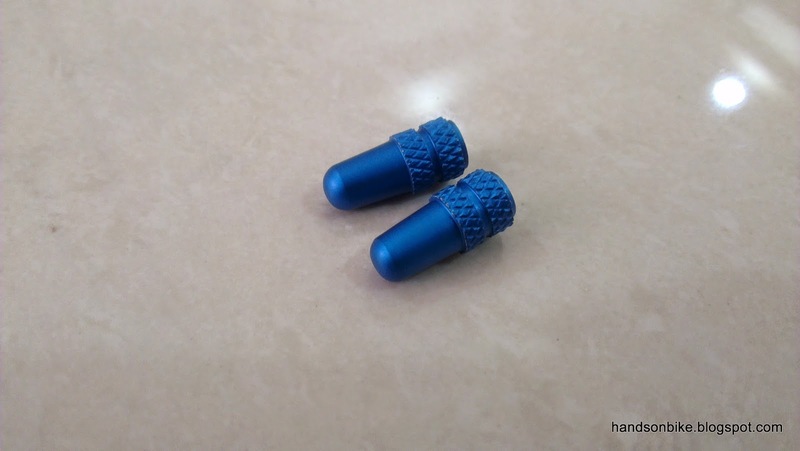 At only a few dollars from Taobao, there is no harm trying them out to see how they fare. They are not available in blue, which is why I got the black ones. 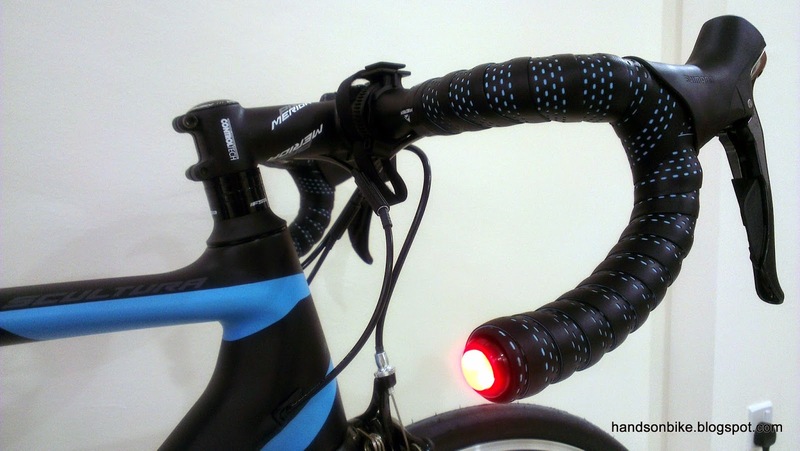 Bar end lights when turned on. Not very bright though. How it looks when installed at the end of the drop bar. 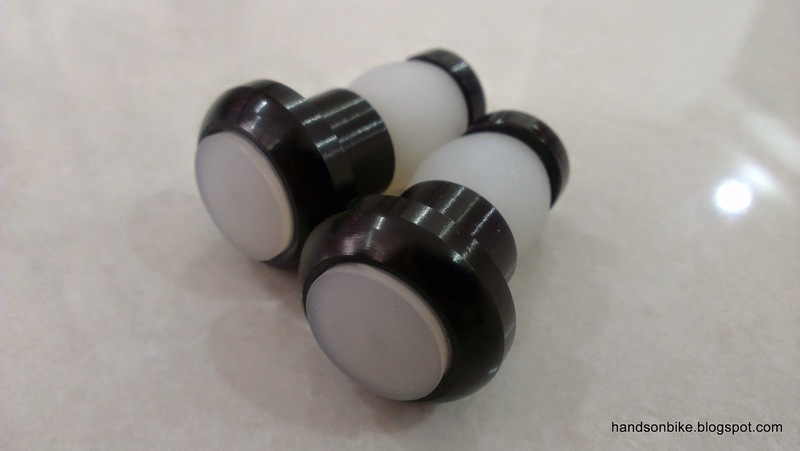 Just press on the translucent rubber to turn on the light. Not very bright in the day, but quite visible at night. 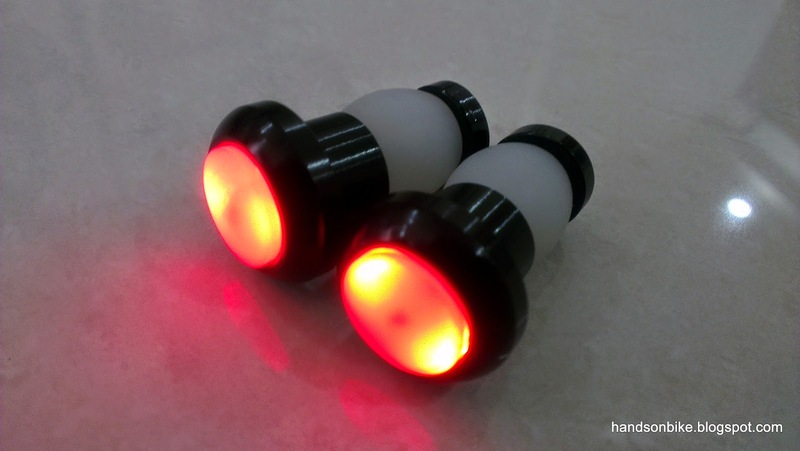 It was found that these bar end lights are not very bright, but then again, I can't expect too much from a cheap light like this. Definitely not bright enough to be a primary rear light, but good enough to add a bit of lighted bling to the bike. Next would be all the little blue parts that I used to accent the bike! The tricky part about this shade of blue is that it is not that common. 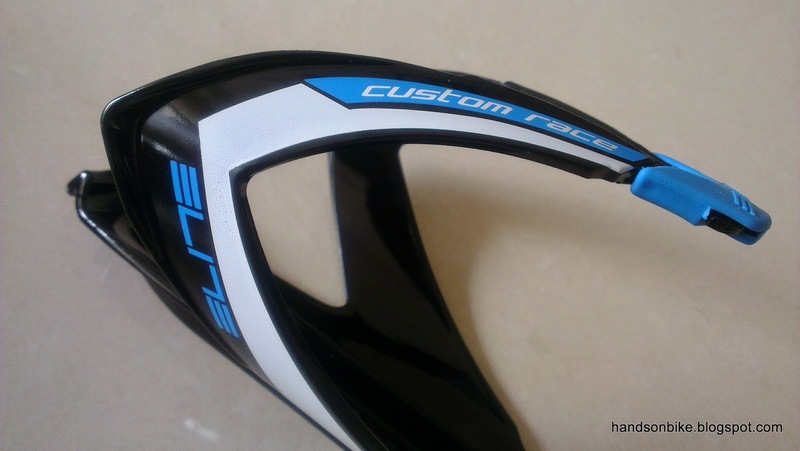 Sky blue is not a common colour for bicycle components, and thus it is difficult to find the correct shade of blue to match the blue on the frame. 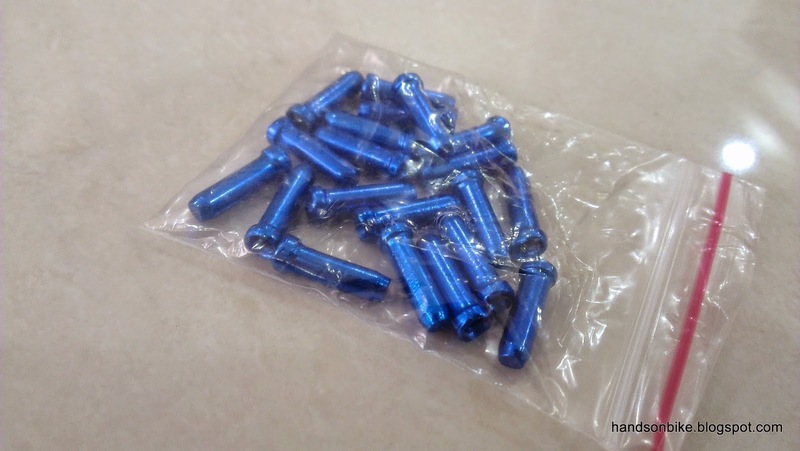 Presta valve caps in blue. This shade of blue is the closest I could find that matches the sky blue on the frame. 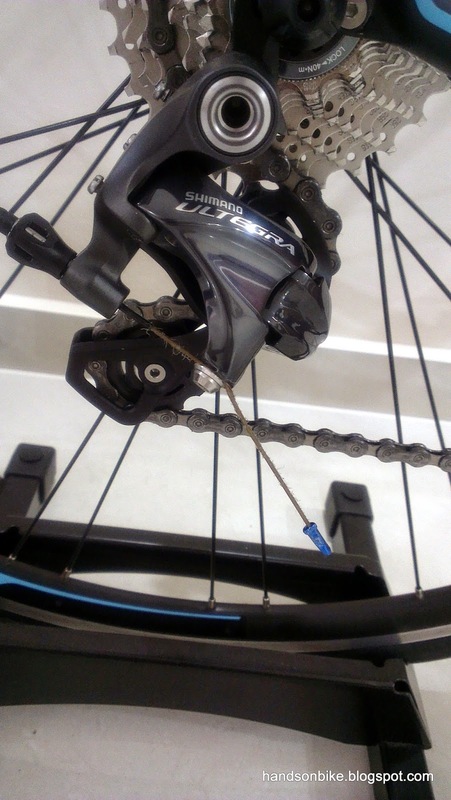 Fits nicely on the Presta valves on the bike. Nothing too flashy here. Zoomed out view of the blue valve cap on the wheel. Very subtle tinge of blue. 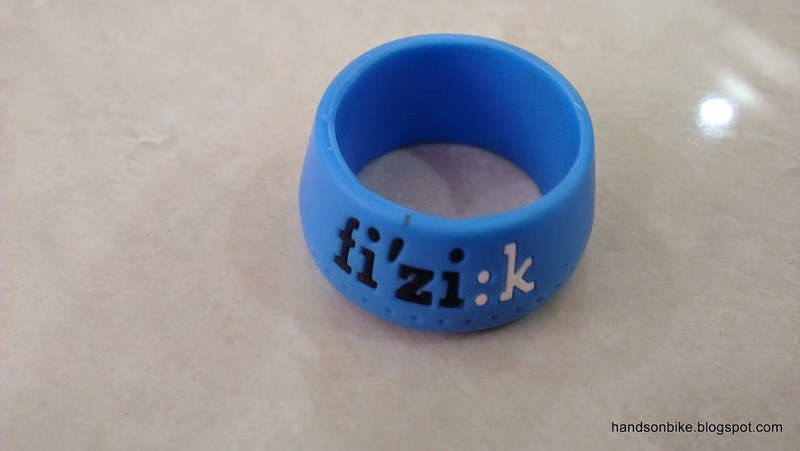 Other than the valve caps, I came across the rubber seatpost ring made by Fizik. 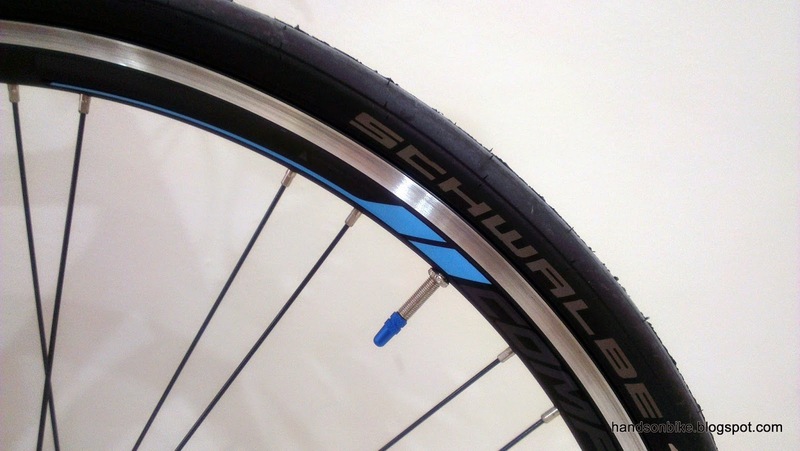 The purpose of this seatpost ring is to prevent water from flowing down into the frame through the seatpost area. I managed to find the correct sized ring for my seatpost (Diameter 27.2mm), and in almost the correct shade of sky blue! ...and the shade of blue matches the blue on the frame quite nicely. Lastly, these coloured inner cable end caps add a nice dash of colour to the end of the shifter cables and brake cables. 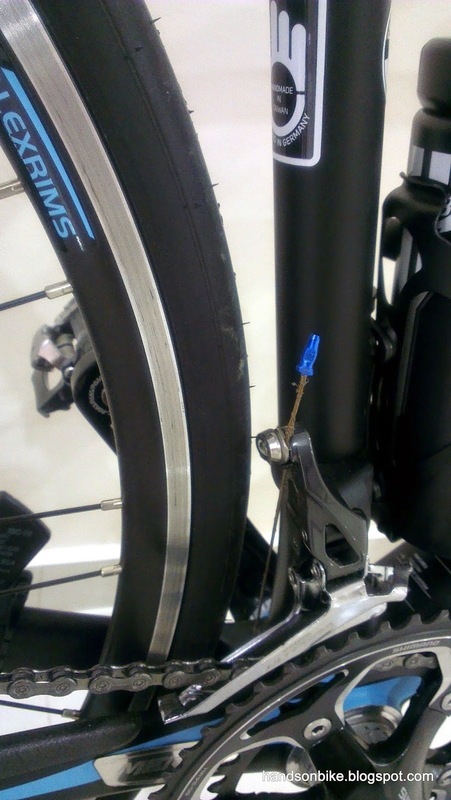 These are the little details that matter, and it shows the level of detail that you apply to the bike. Not expensive and yet useful. Available in all sorts of colour from Taobao, and very cheaply too. This shade of blue is a little dark though. 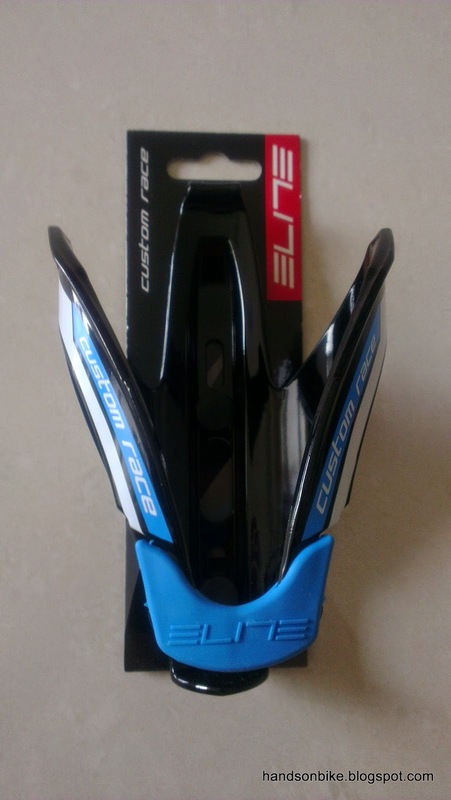 Came across this bottle cage which has a nice shade of blue that matches the frame colour perfectly! 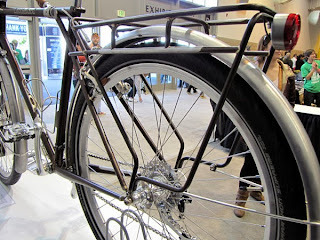 Decided to get two of these bottle cages to replace the original Merida bottle cages. Made of glass fibre reinforced nylon. Tough engineering plastic. 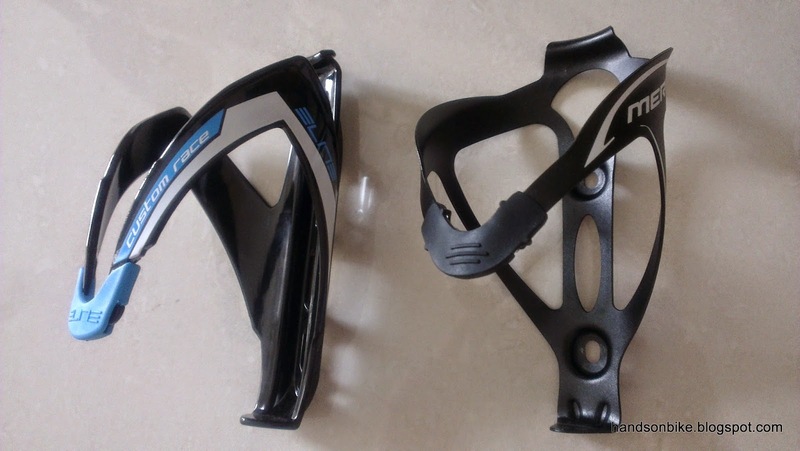 Comparing it side by side with the original Merida bottle cage. 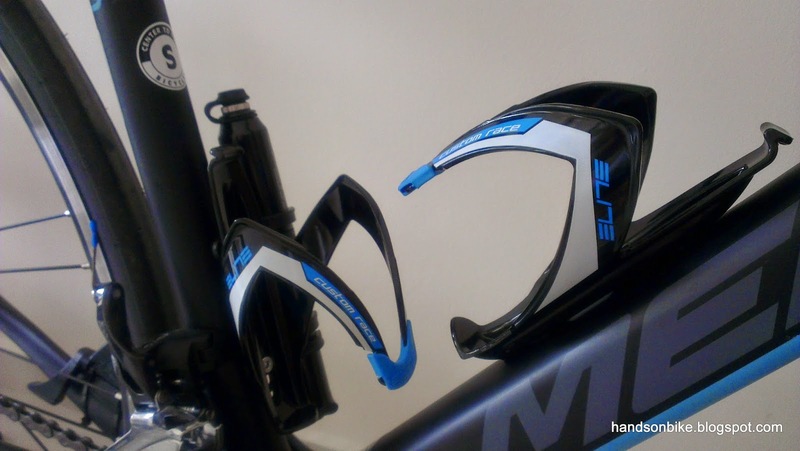 The Merida bottle cage is actually very nice and lightweight, just that it does not have the blue colour. 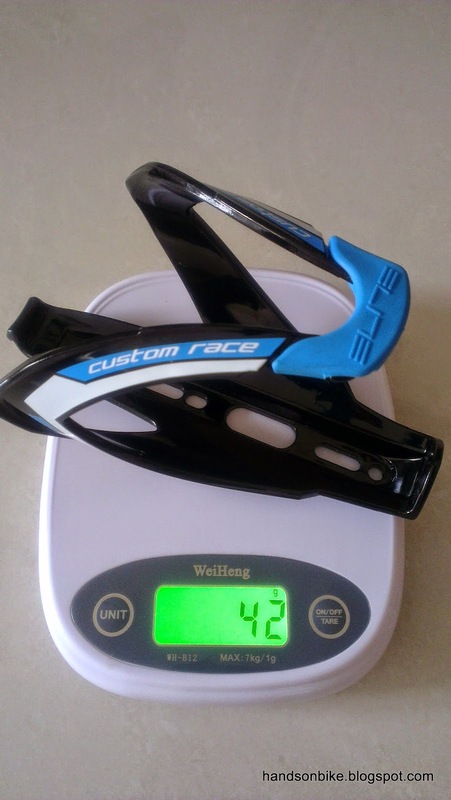 Somewhat heavier than most other bottle cages at 42 grams each. 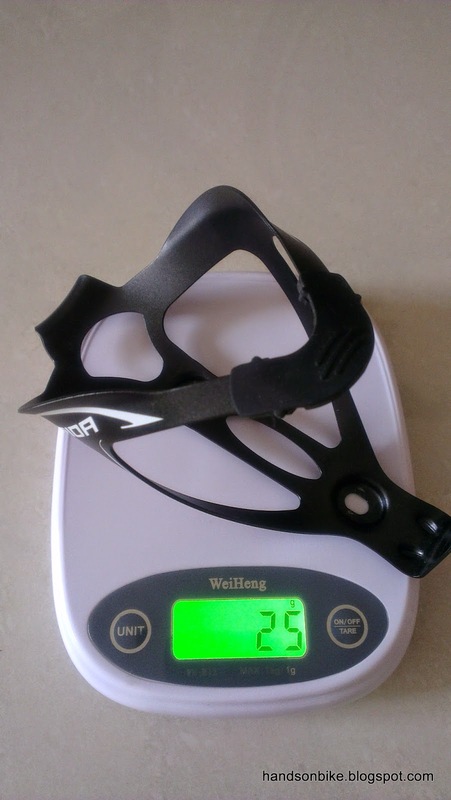 Merida aluminium bottle cage is actually very lightweight at only 25 grams, comparable to many carbon bottle cages out there. I decided to install both the new bottle cages despite them adding a little bit more weight to the bike. I also discovered that the small tool bottle fits nicely into the new bottle cage! 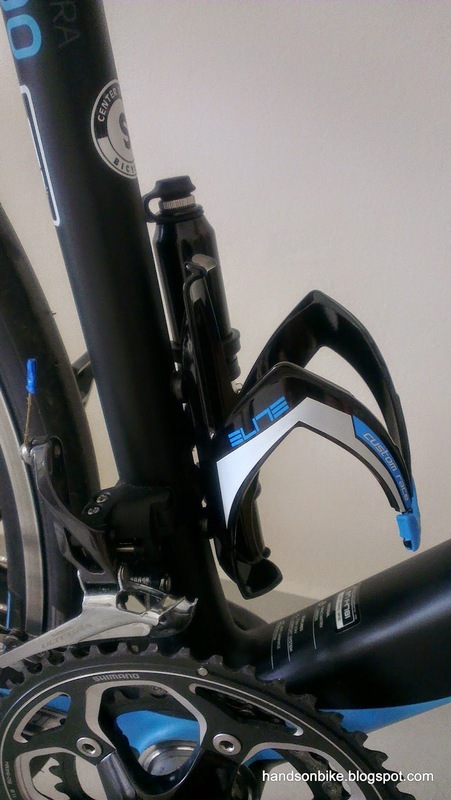 In another post, I wrote about how the Merida bottle cage does not match nicely with the tool bottle. 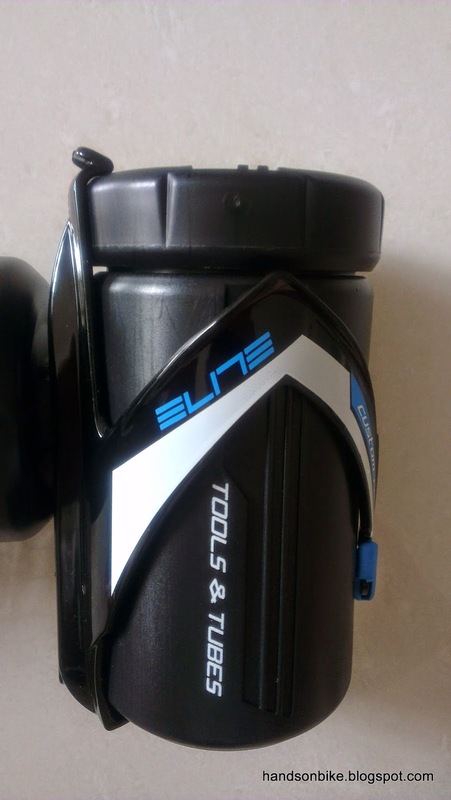 However, since the tool bottle can now fit snugly into the new blue bottle cage, I moved the tools from the large tool bottle to the smaller tool bottle. The small amount of weight gained from using the new bottle cages has been offset by the change to a smaller tool bottle. Final view of the bike with the new blue bottle cages and the small tool bottle! 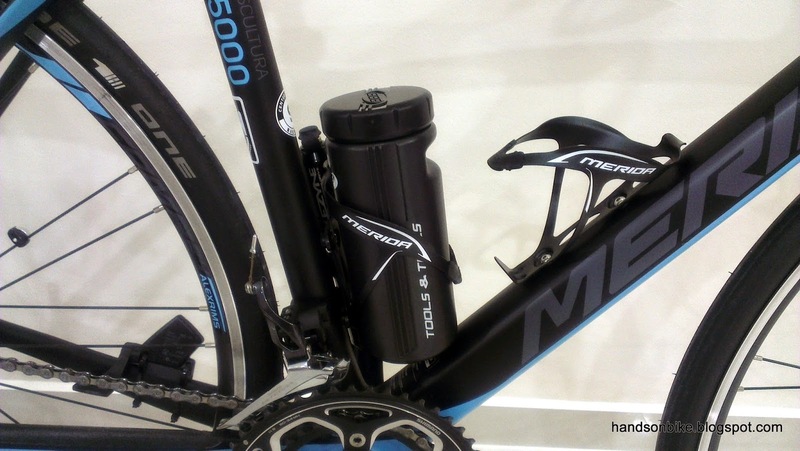 Compare this to the previous set up, with the large tool bottle and the Merida bottle cages. When I add colour to a bike, I try not to overwhelm the bike with too much colour. Instead, I feel that the better way is to add little coloured accents here and there, to bring out the original colour that is on the frame. This can be seen on the MuEX which I built earlier this year. 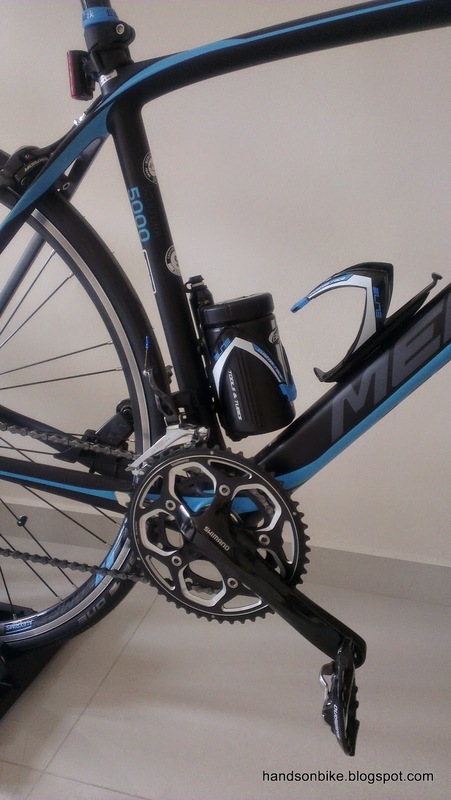 Lots more to write about for this Merida bike!